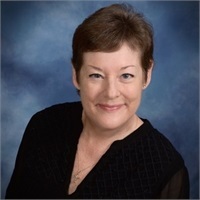 Terri Koller Eads, ChFC®, CLU®, REBC®, RHU® has been in the financial services industry for 21 years, building long-term relationships to help her clients reach their financial goals. To implement these strategies, she offers a variety of financial products and services including financial needs analysis, insurance, annuities, investments, business planning, estate, and retirement planning. My goal is to provide individuals and small business owners with comprehensive insurance, income replacement, investment, and retirement planning services. My program of integrated planning offers balanced, flexible strategies designed for your particular circumstances and objectives. I will develop a well-conceived plan designed to help you achieve optimum performance and exceptional value.